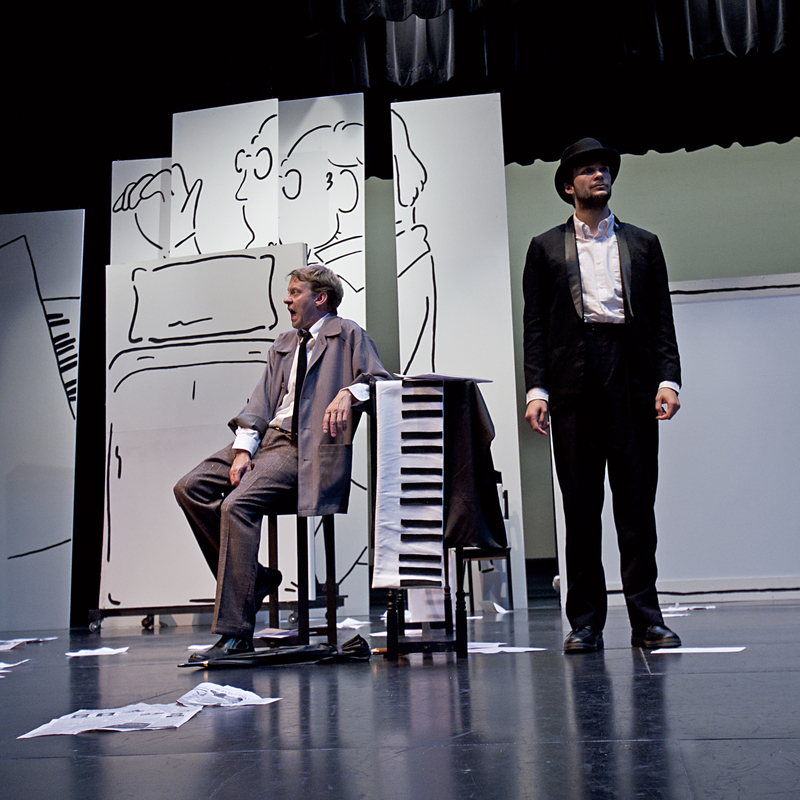 Produced by The Mountain View International Festival of Song and Chamber Music August 11, 2012 at the University Theatre, University of Calgary. 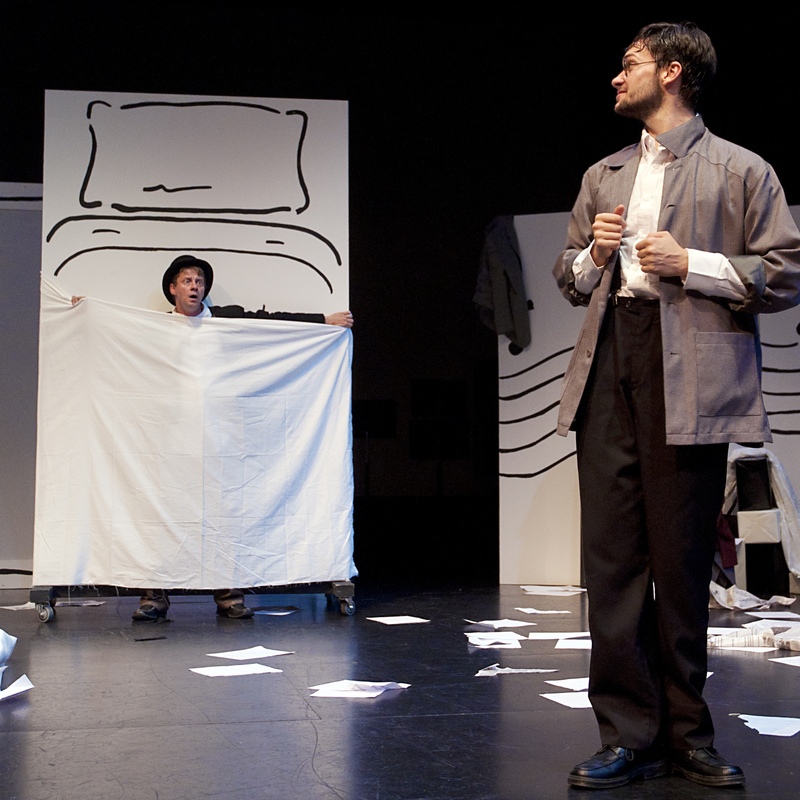 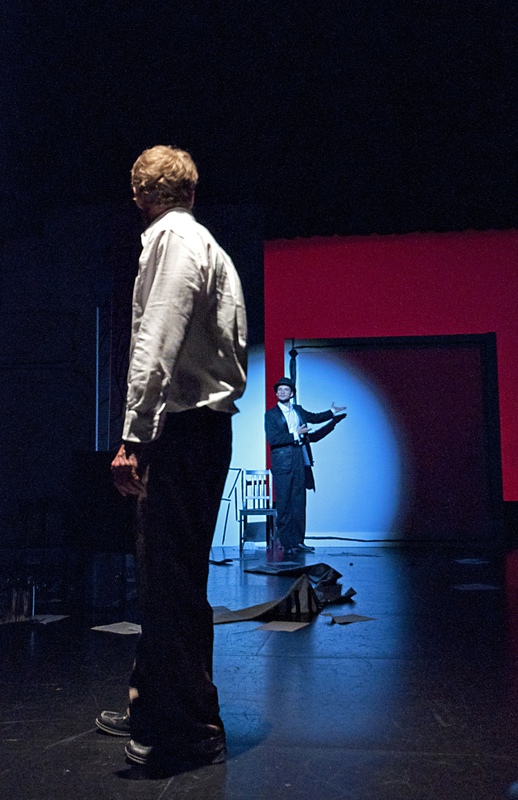 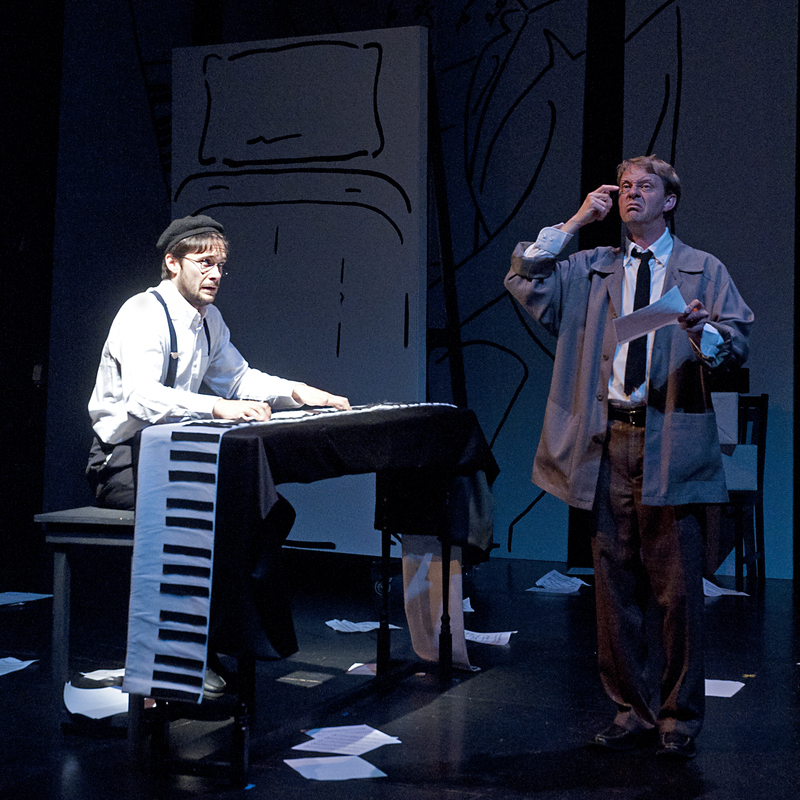 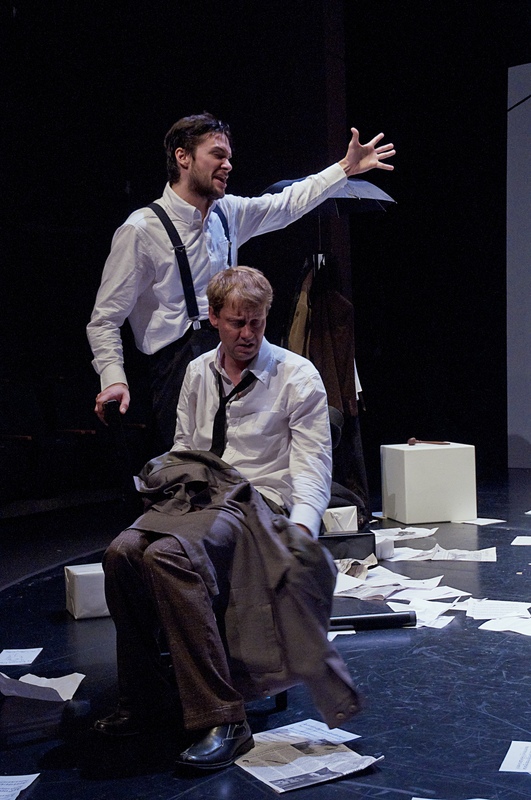 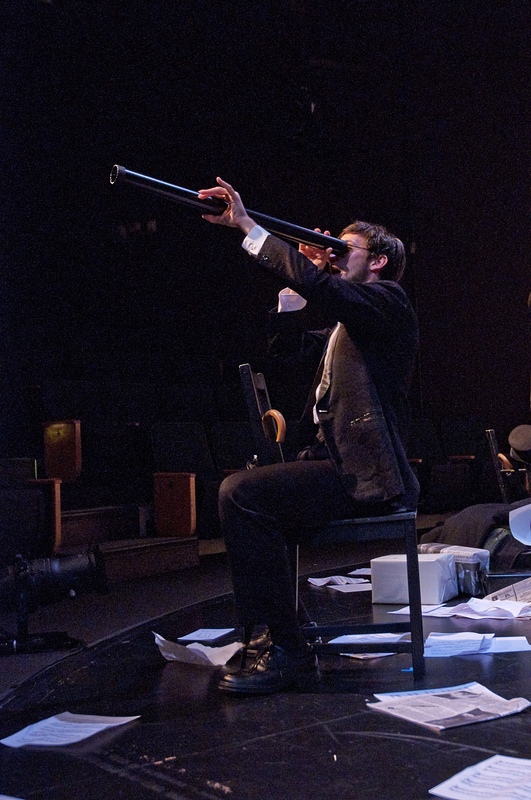 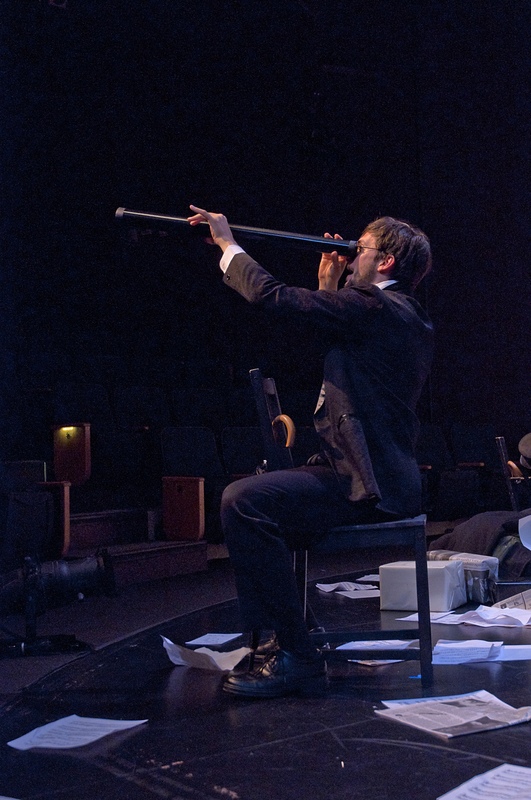 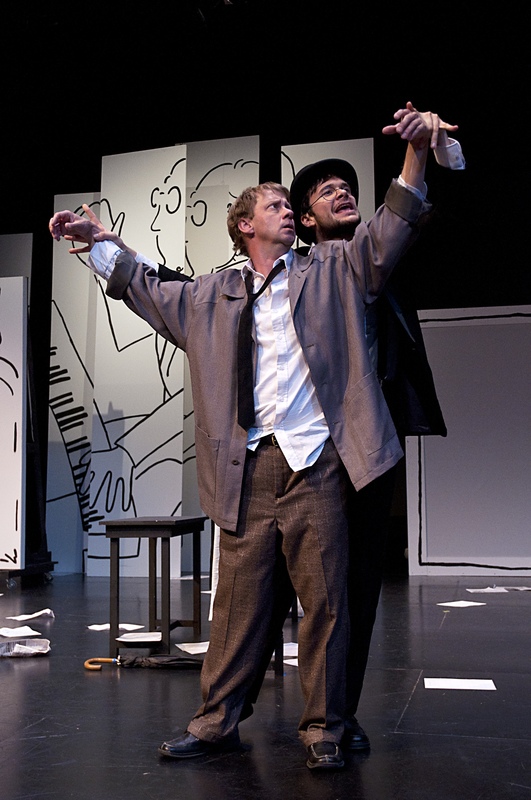 Featuring Trevor Rueger as Cocteau and Aleksander Ristic as Actor (Satie). 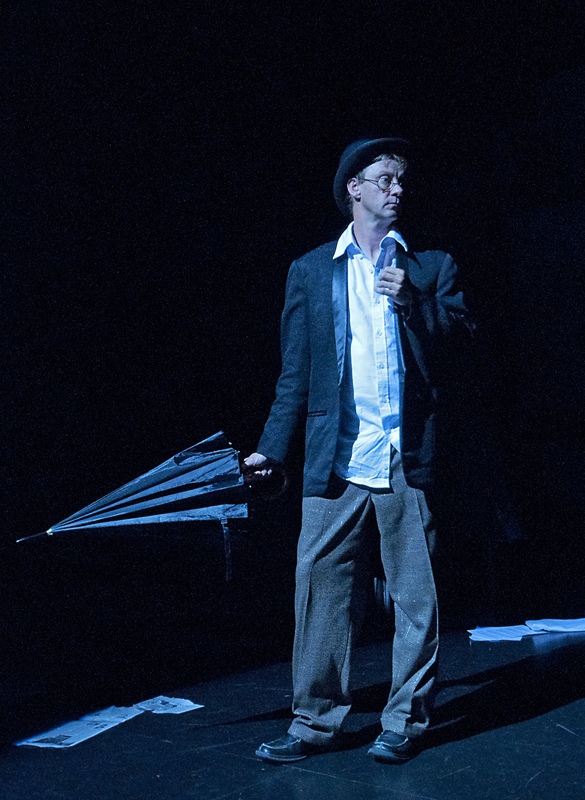 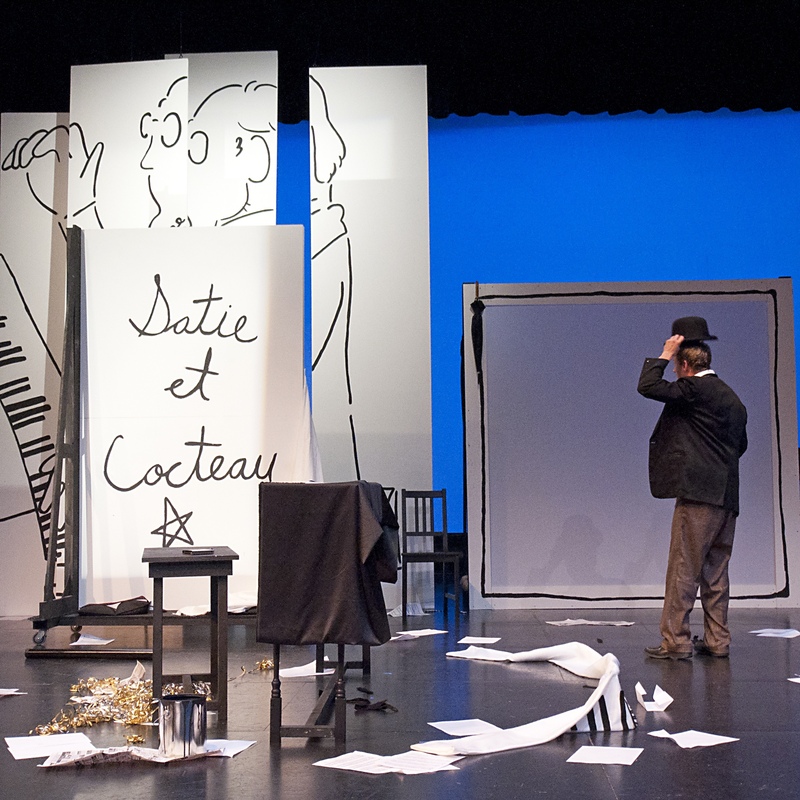 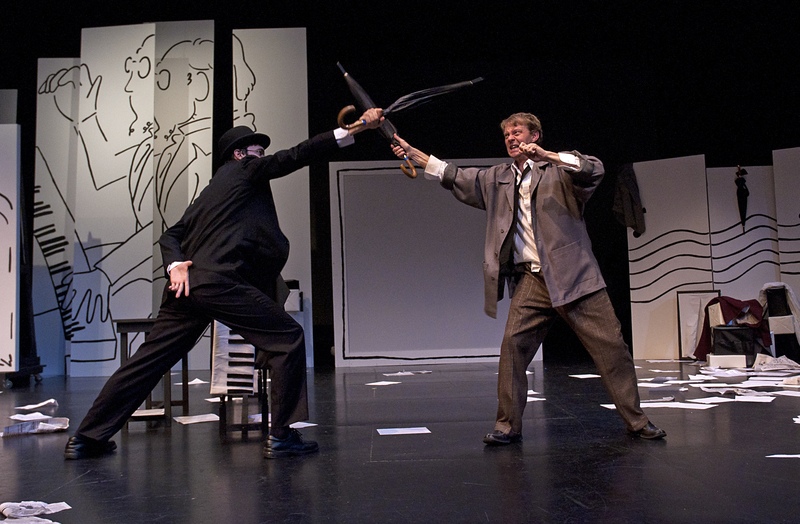 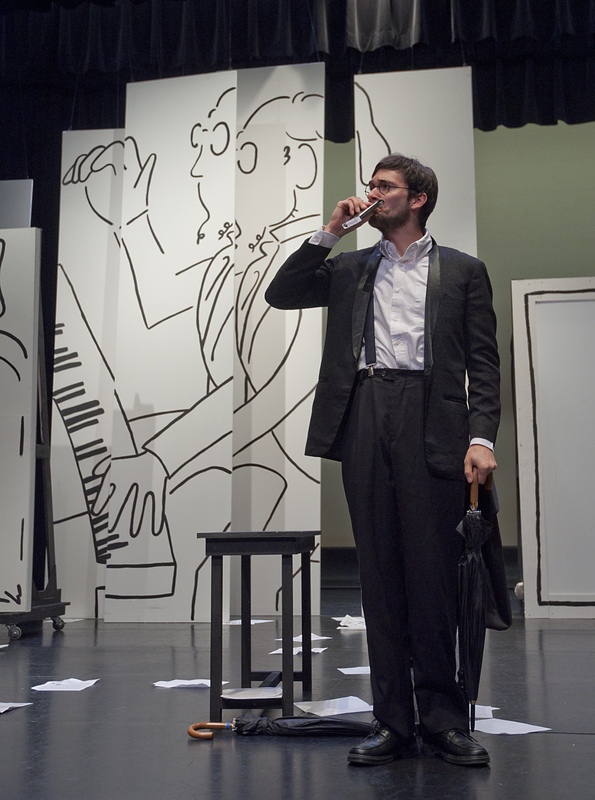 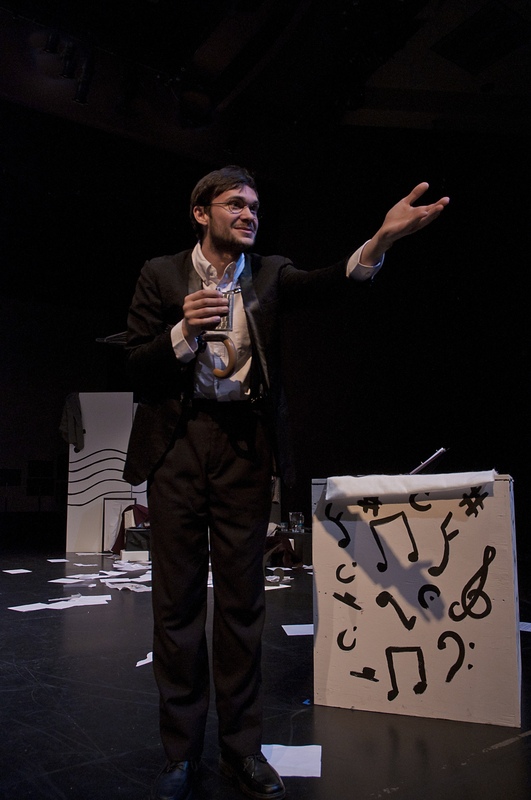 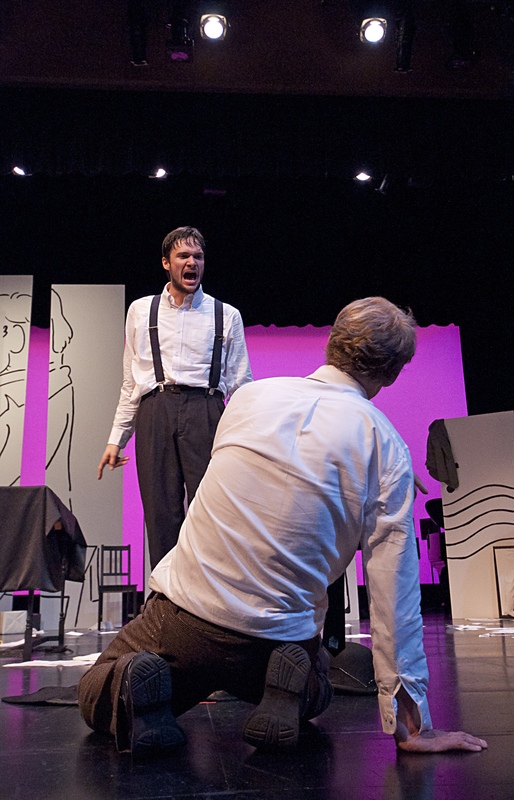 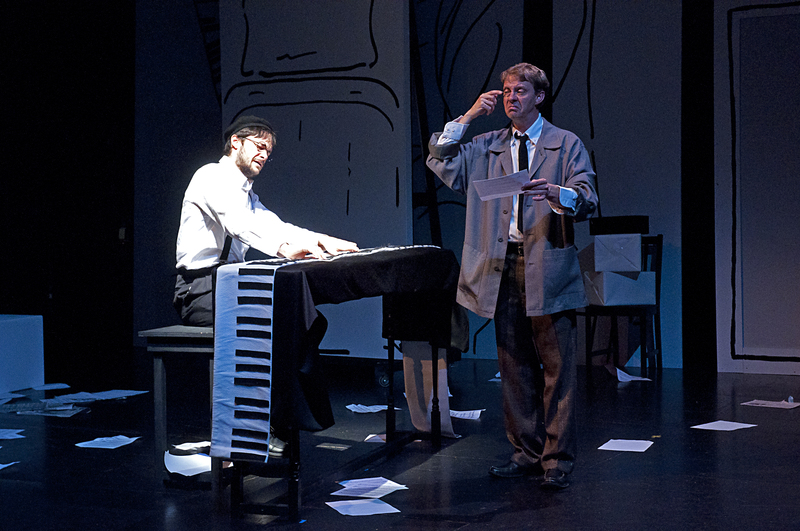 Satie et Cocteau: A Rehearsal of a Play of a Composer by a Poet, is a play about the classical music composer Erik Satie and his complex relationship with the surrealist poet Jean Cocteau. 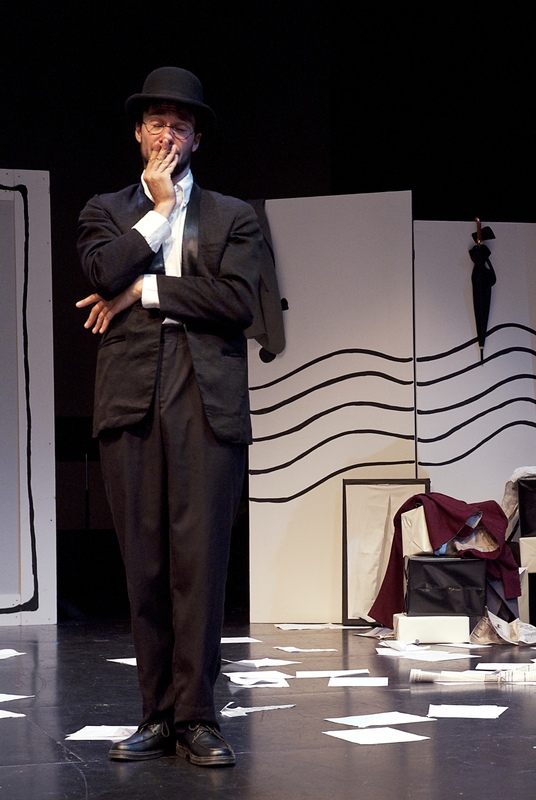 The concept of the play is that we are watching Cocteau direct an American Actor in the role of Satie in a play that Cocteau wrote in 1939 called Soyons Vulgaires. 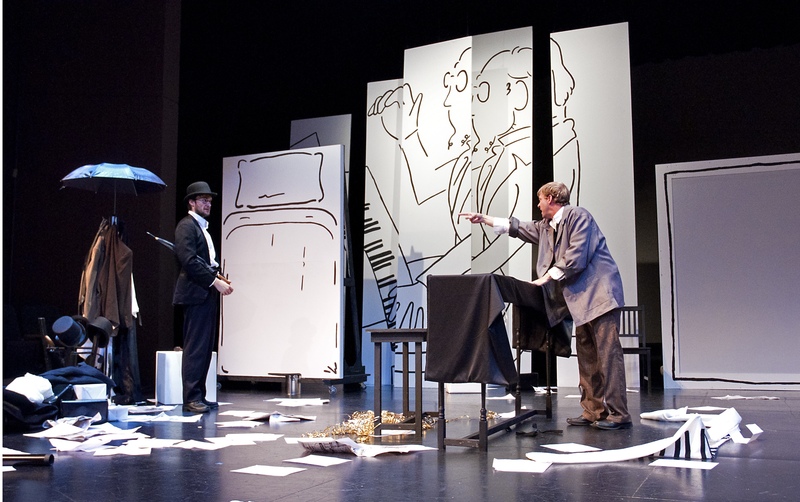 The play takes place 15 years after the death of Satie. 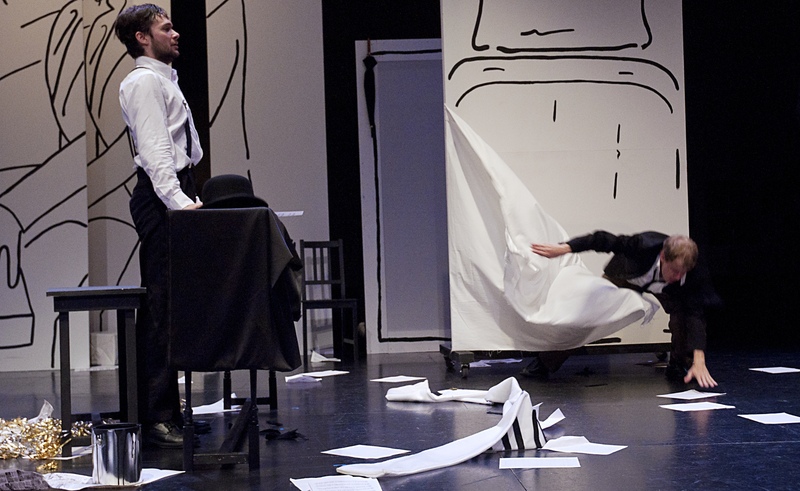 The action takes place during the final rehearsal where Cocteau has only called the Actor, because he feels he does not fully understand the role. 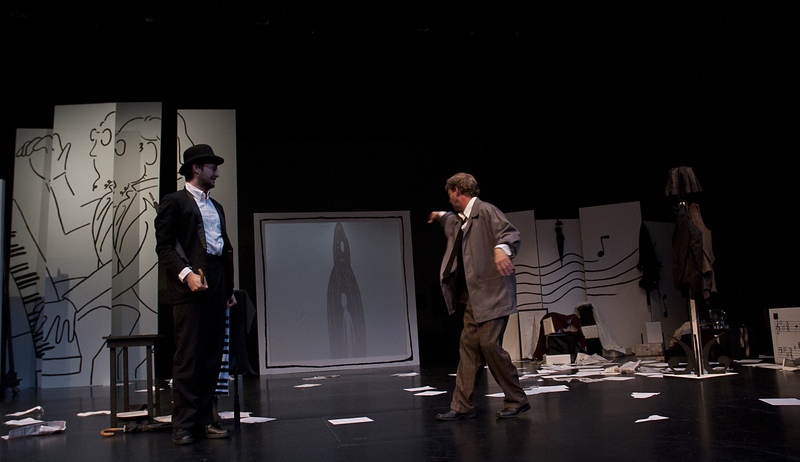 Cocteau, in an opium haze, directs the Actor in a series of ‘scenes’, which run the length of Satie’s life and career. 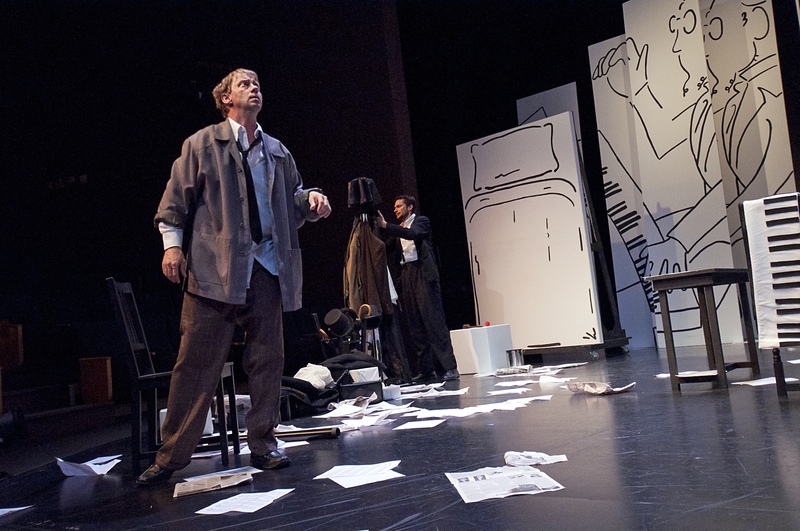 We discover that Cocteau’s intentions are for the Actor to fully embody Satie and bring him to life so he can finally exorcise him from his life. 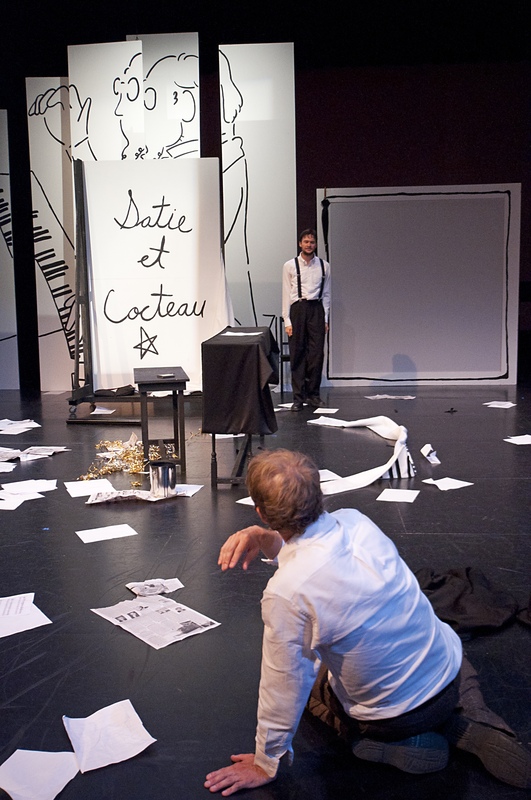 Cocteau has been attempting to do this for 15 years since Satie refused to see him on his deathbed. 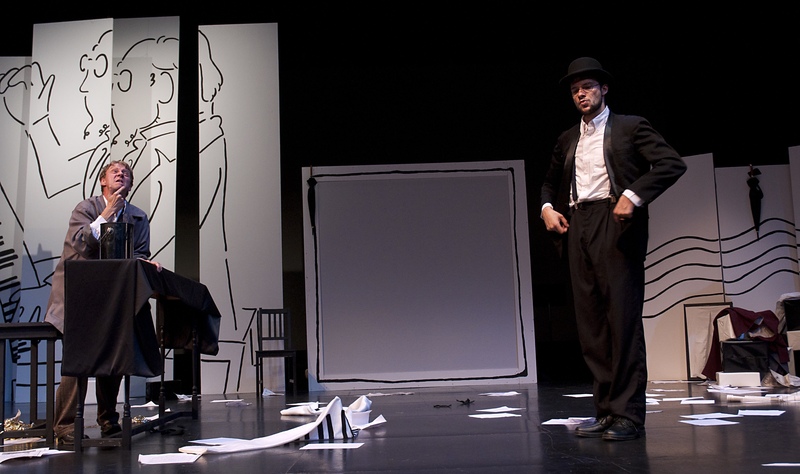 We also discover that the play will never be produced. 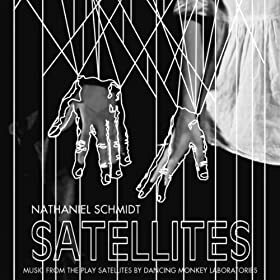 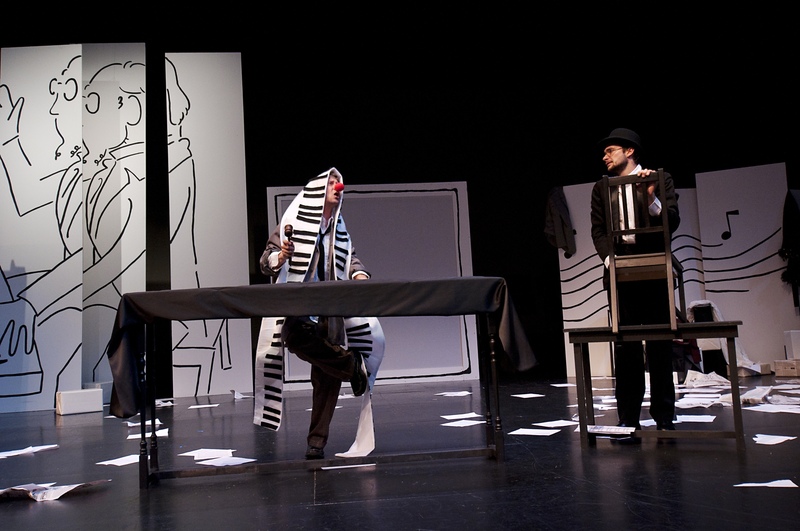 The framework of the play borders on the absurd and the meta-theatrical, which permits the ‘staging’ of sections of Satie’s life as they suit Cocteau’s narrative. 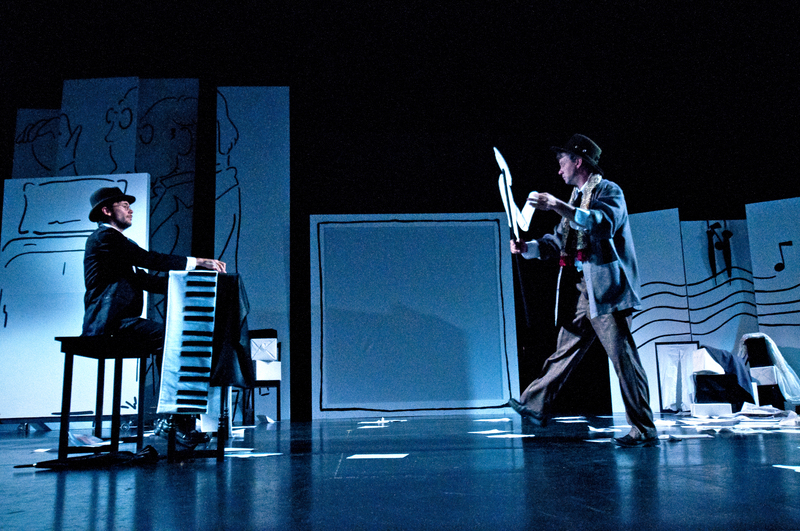 Through the arc of the play we discover Satie’s desires and philosophies about art and music while simultaneously discovering the drive behind Cocteau’s ambitions. 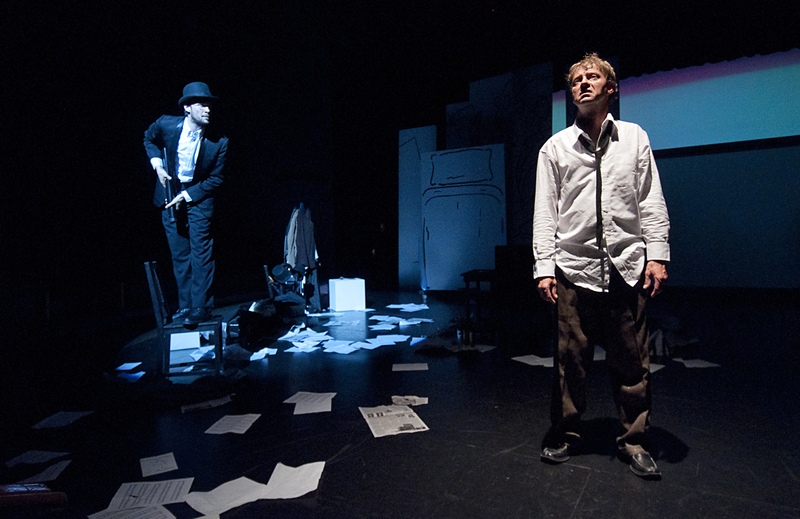 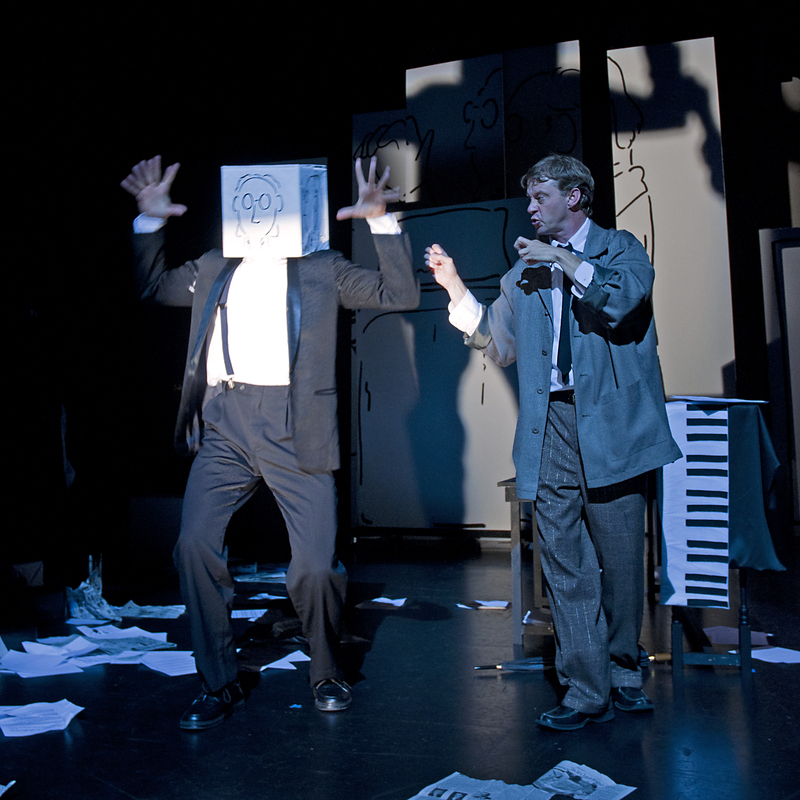 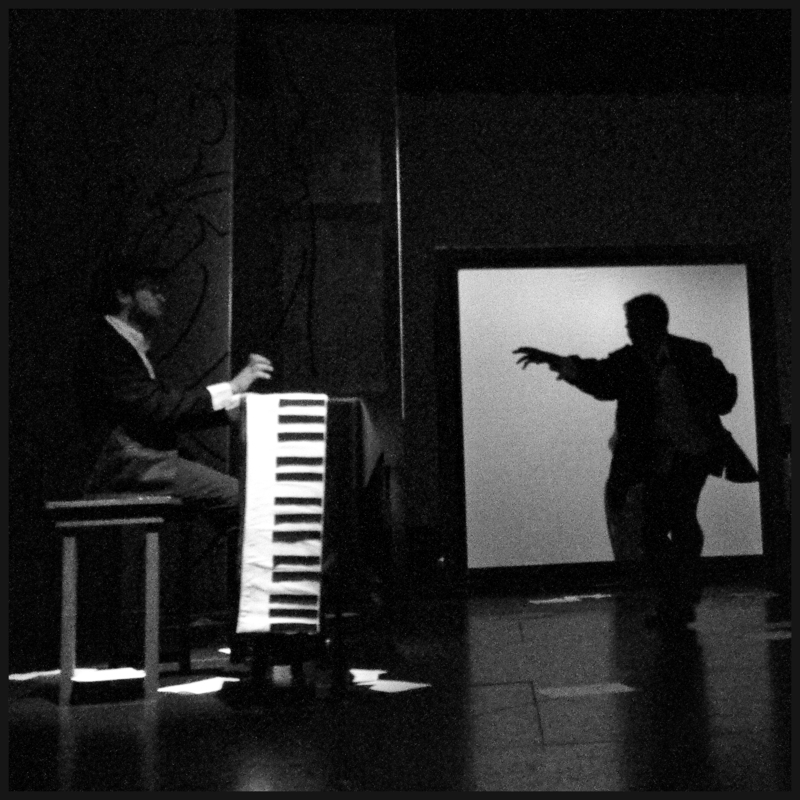 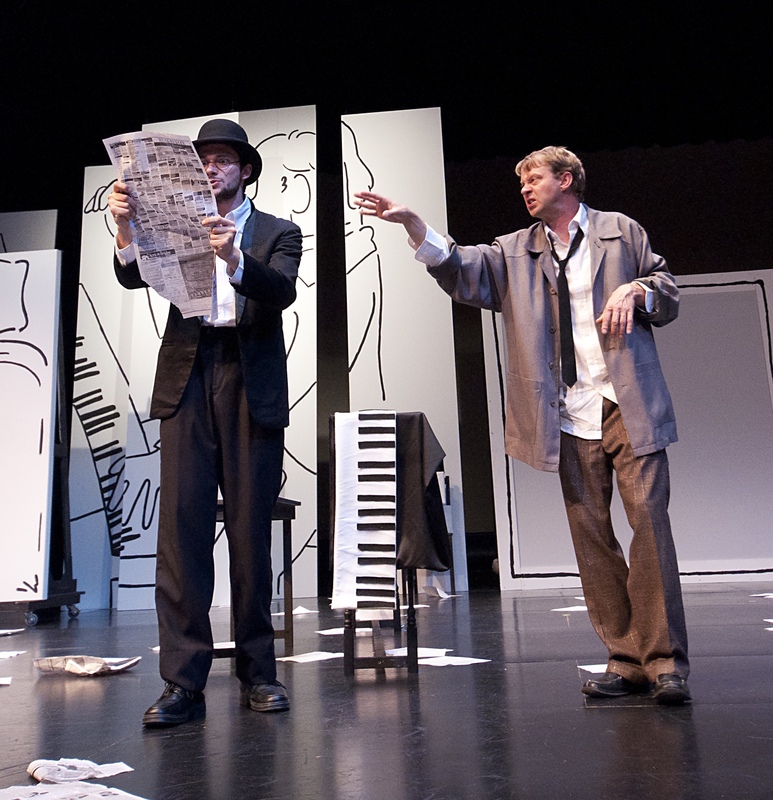 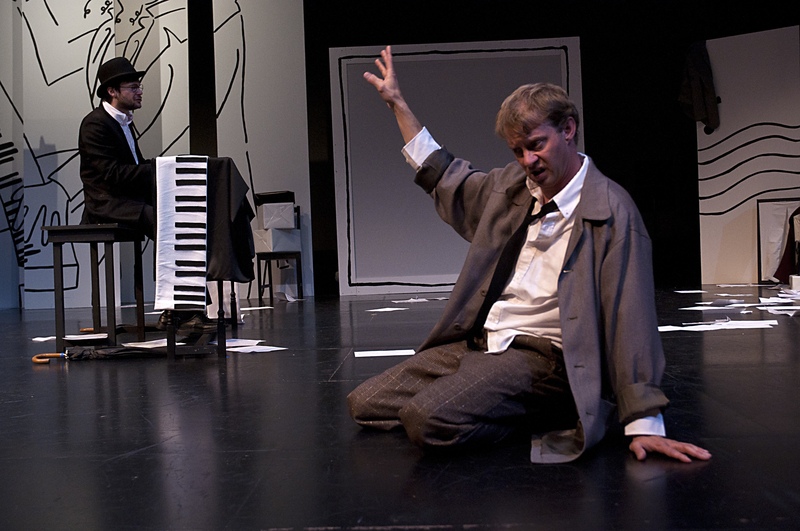 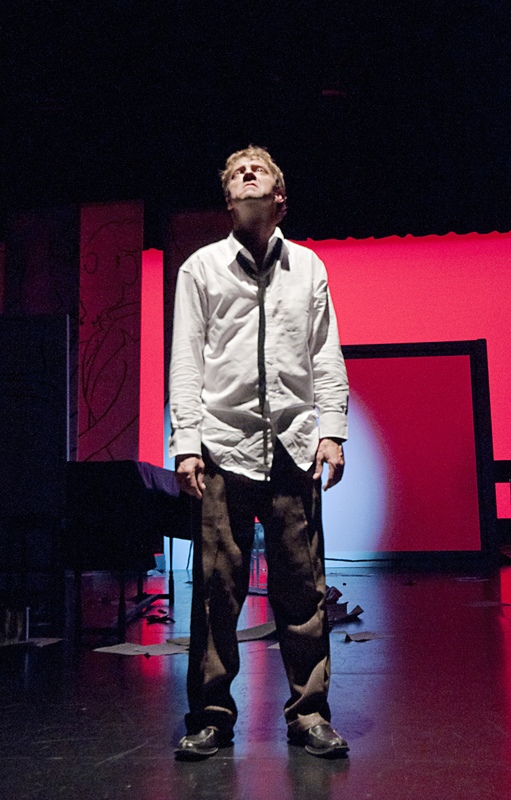 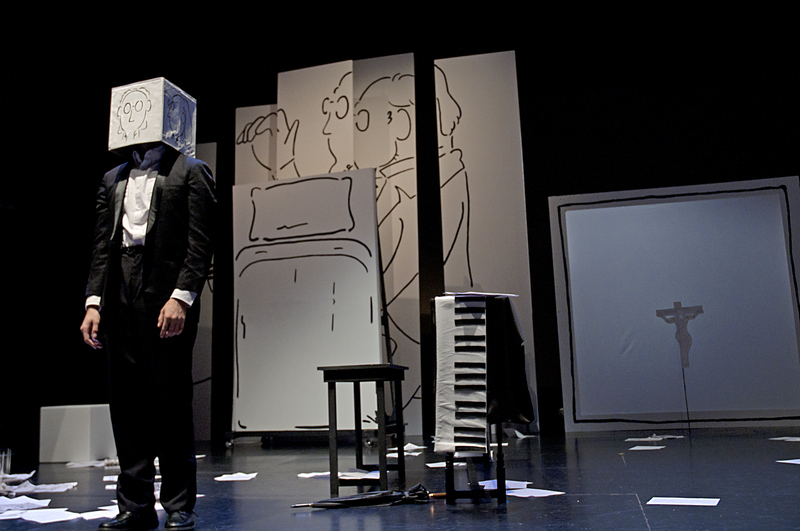 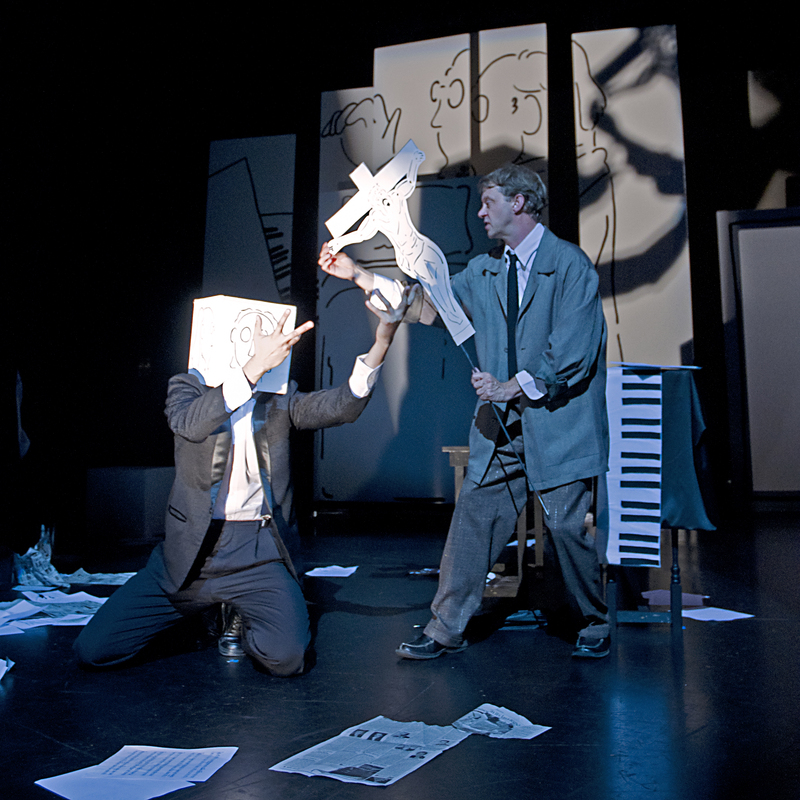 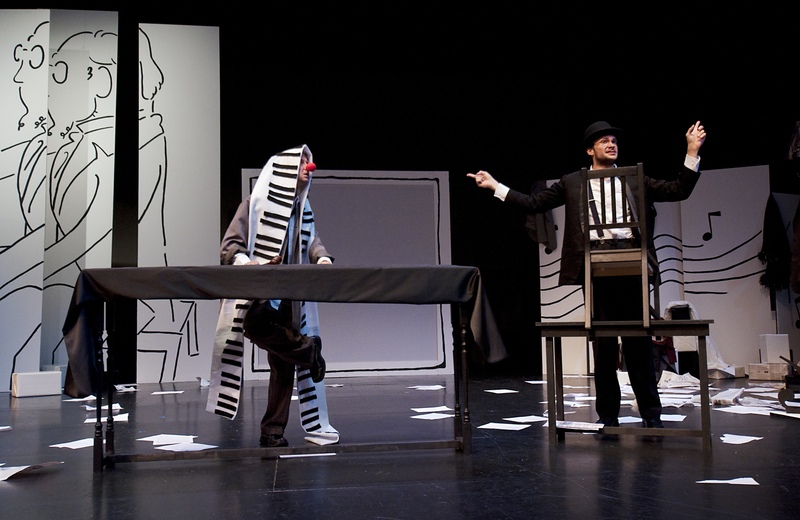 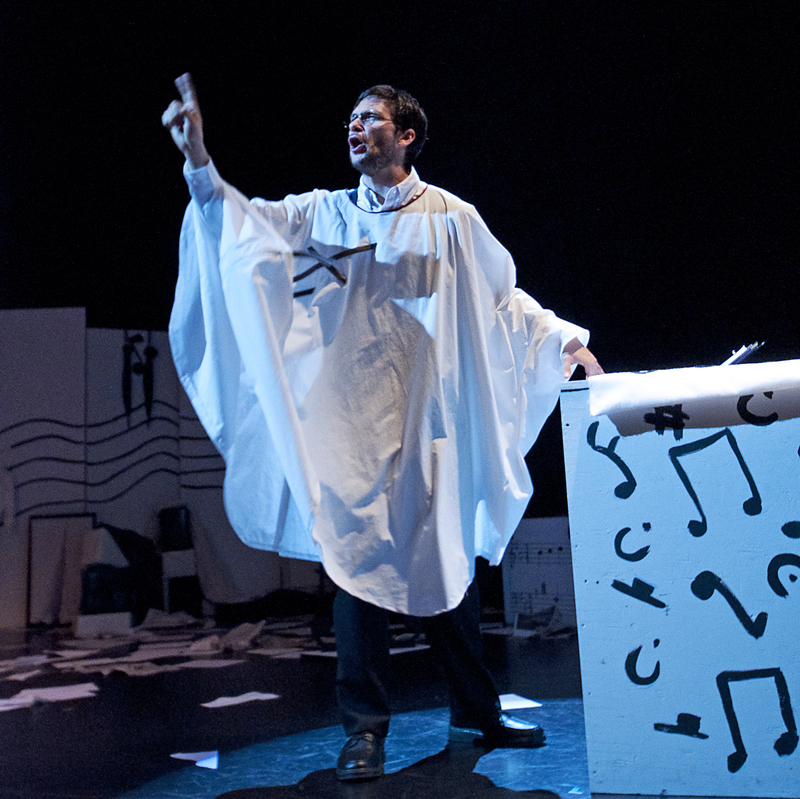 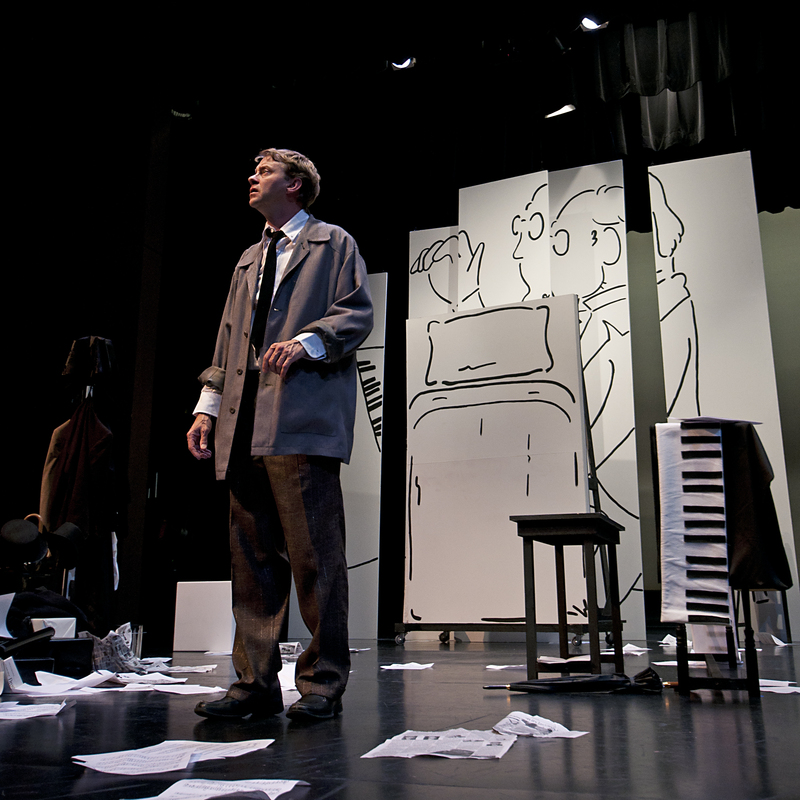 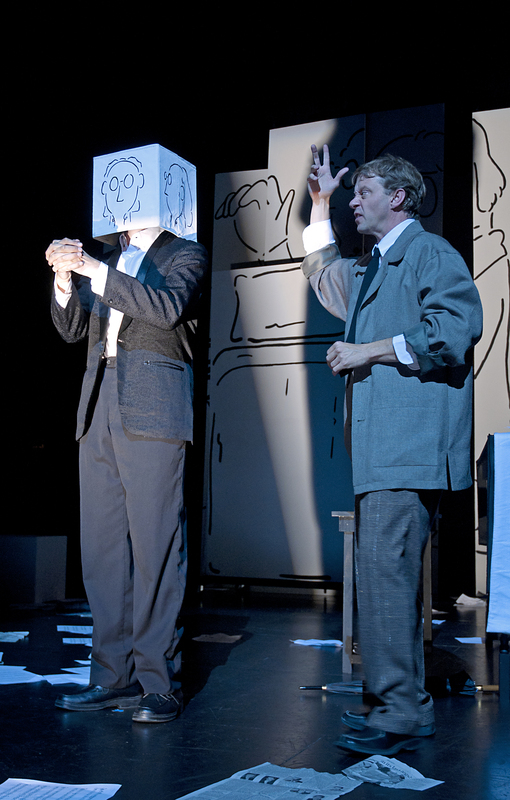 On a half finished set, with live music played on two pianos stacked on top of each other, cardboard skyscrapers and a large shadow screen, with puppets, reminiscent of the Chat Noir in 1920’s Paris, Cocteau and the Actor embark on a journey through time and theatrical space which the Actor describes in his opening monologue as: “What you are about to see is a re-creation of a memory of a memory of actual events.” Satie et Cocteau: A Rehearsal of a Play of a Composer by a Poet is a play about the reality of memories, the possession of art, and the ‘truth’ of the theatre.